In the last installment, we took a hike to Woodbine Falls while camped at Woodbine Campground. 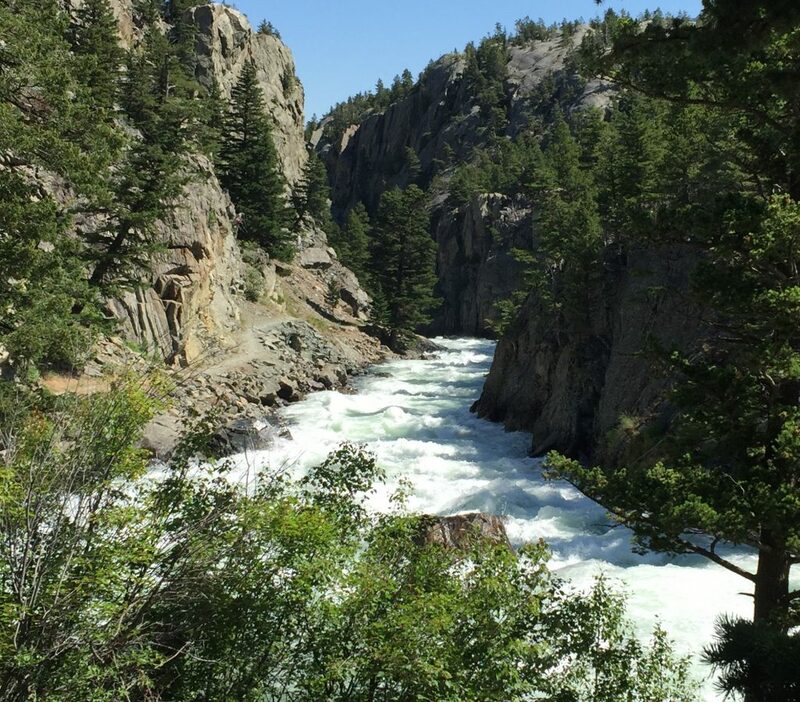 There are several other points of interest you will want to visit while in the vicinity of Nye, Montana. Stillwater River Trail is located a short distance west of Woodbine Campground. Many hike the 3.5-mile trail to Sioux Charley Lake or further, but most consider the first half mile of the trail, which traverses through a scenic gorge carved by the Stillwater River, the highlight of the trail and go no farther. 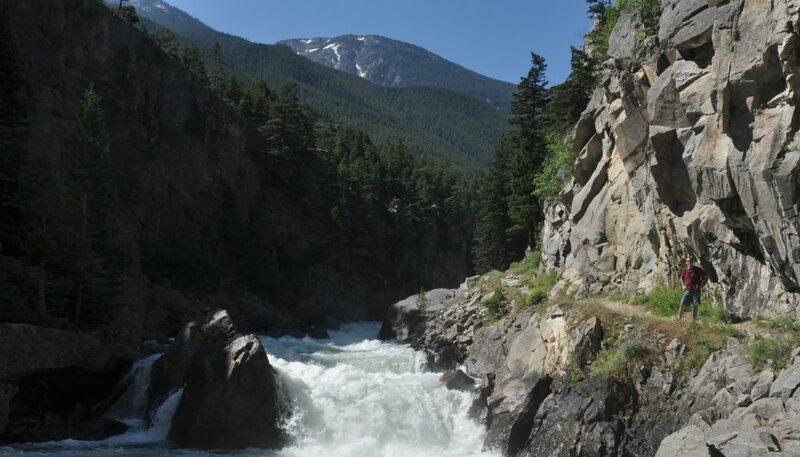 The trail has been carved out of a ledge along the river and during high water (late spring and early summer) the volume of water churning through the gorge is impressive. The Stillwater Mine can’t be missed as you drive to and from the falls or the Sioux Charley Lake Trail. The active mine is the only palladium and platinum producer in the United States. The mine tunnels deeply into what is considered one of the rarest and most challenging ore bodies in the world. 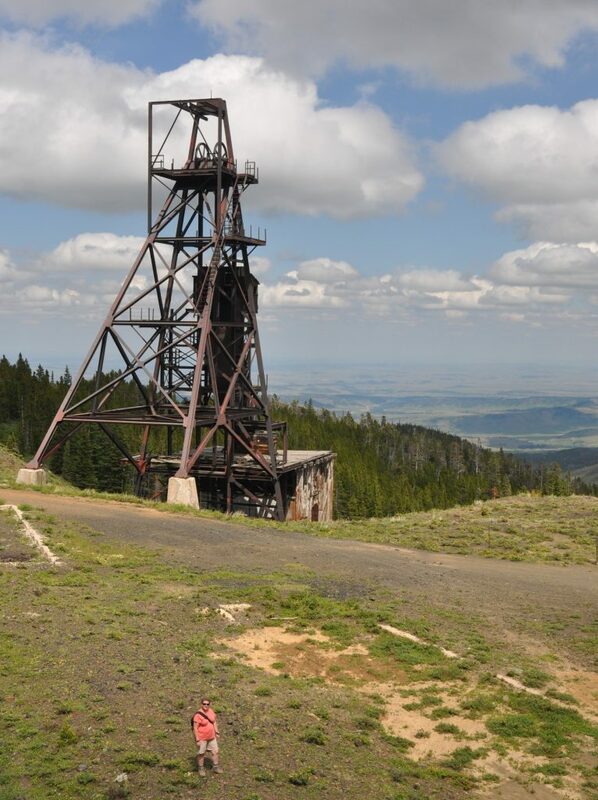 Historic nearby mines include the Mountain View Mine and Benbow Mine, both of which produced Chromium, a strategic metal and heavily sought after by the U.S. government during World War II. The remains of the Mountain View Mine and abandoned townsite are located about halfway up the mountain behind (west) the Stillwater Mine. The Benbow Mine is located east of the Stillwater Mine over the mountain ridge. RVers that want to make the trip to the Benbow Mine will find many scenic boondocking opportunities in the valley below the mine. Those interested in Native American history will want to take note of the high bluffs as they pass through the town of Nye. Herds of buffalo were driven off these cliffs by the natives. The meat and hides were essential for their survival through the cold Montana winters. 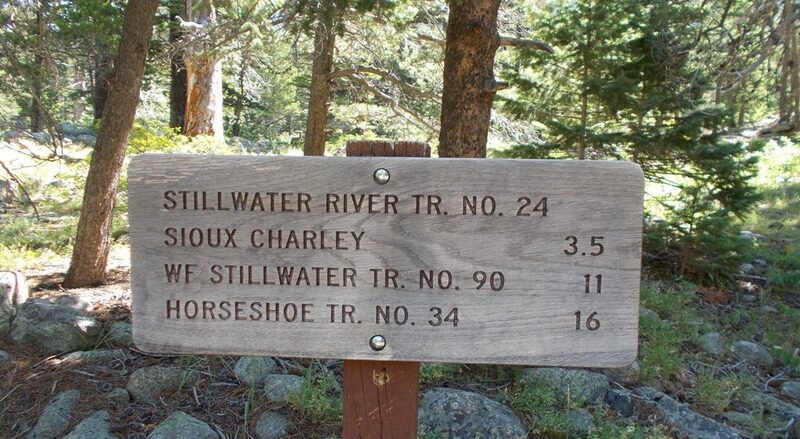 The Stillwater River Trailhead is at the end of paved Forest Service Road 419. The poorly marked trailhead is at the south end of the paved loop. 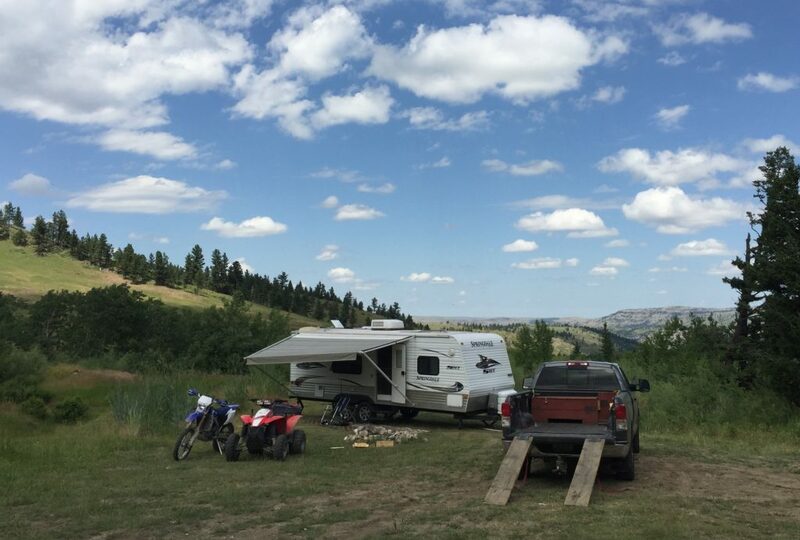 If you bring your RV with you, there are long parking stalls designed for horse trailers and tow vehicles at the north end of the parking area. The trail enters the gorge after less than 100 yards of hiking. The Stillwater Mine is on the right (west) side of the road about a mile and a half before reaching the junction for the falls and trailhead to the gorge. Benbow Mine is located at N45° 21.857 W109° 48.409 up NF 1414. It is best accessed with an ATV or off-road motorcycle, but a high clearance two-wheel drive could make the trip as well. The views alone are worth making the trip. Woodbine Campground as mentioned in the last entry. Shortly past this area, the road becomes unsuitable for RV travel. Camping is allowed in the staging area if you were unable to find a spot along NF 1414 on the way there. Multiple points of interest, scenic country and boondocking aplenty, just another adventure in RVing!